Soft drinks have become a part of our modern life. We all consume it regularly without a second thought. Be it a social gathering, business meeting or meeting people generally. Many of us gulp it in minutes without knowing how it affects out physical health. The moment it enters our body, our pancreas quickly starts to make insulin because of its excessive sugar. As we know insulin is a hormone produced by the pancreas, which is used by the body to move sugars (carbohydrates) from food into the circulation. These sugars are used by the cells for energy purpose. In 20 minutes of consuming these drinks, the blood glucose level increases and our liver starts storing the excess sugar in the form of fats, thus leading to obesity. Soft drinks have Sodium Benzoate which mixes with the diet and decreases the amount of Potassium in our body and this sometimes reacts to Asthma and skin aggravation. The high responsive solvents present in soft drinks when mixed with saliva become acidic in nature, this influences negatively to the delicate skin in the mouth. With every sip of it, the teeth decrease by some percentage. 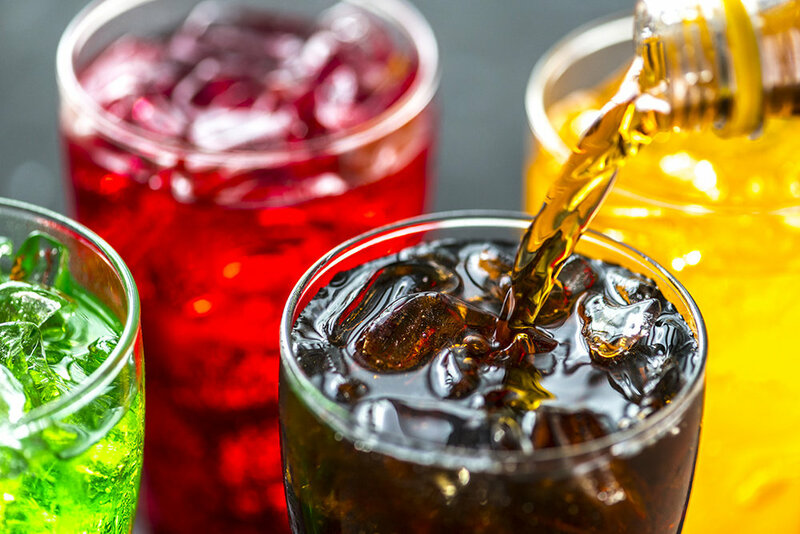 Soft drinks have high amount of fructose syrup which is associated with increased risk of metabolic disorders which further increase the risk of diabetes and heart disease. One out of 55 deaths everyday are caused by heart stroke which is an after effect of drinking soft drinks. Many soft drinks contain Phosphoric acids which disturbs the digestive system. Also it increases the odds of kidney stone. The Endocrine System of the body is affected by tar present in the soft drink. This tar contains BPA ie Biphenyl A which is similar to tumour causing compound found in water bottles and tinned products. All this can bring the untimely adolescence in the body. By the use of these drinks, calcium is urinated along with phosphoric acids, this leads to thinning of bones and calcium deficiency. So, avoid this carbonated water which is highly sweetened, artificially flavoured, has high fructose corn syrup or sugar substitute, contains caffeine, colouring and preservatives. Switch to coconut water, lemon water, fresh vegetable, fruit juices, butter milk, milkshakes, smoothies, tea, iced tea and other natural drinks. An interesting fact which is not commonly known is that all teas come from the same plant known as Camellia Sinensis. The way a tea is processed makes it green or black. Caffeine content is in different proportion in both the teas. Green tea is low in caffeine, so if you want to feel fresh and energetic in the morning then choose black over green. Where as during the day if you want to relax over a cup of health drink then green tea is perfect. Remember if you add milk to any of the teas, then the effect is not the same. Milk reduces the effect of caffeine to a great extent. When it comes to antioxidants then both the teas are winners. This quality helps in preventing cancer, though green tea is still higher in antioxidants. The absorption of antioxidant is affected by the milk present in it. EGCG is a type of flavonoid present in green tea which regulates the gene activity in cancer cells and can even halt the growth of cancer cells. The fluoride content of these teas is good for the bone and teeth health. Black tea if made with tap water gives high fluoride. Again here if milk is added the fluoride value weakens. This drink is heart friendly as the ECGC content creates a lining along the blood vessel to reduce the stress. Black tea improves the working of blood vessels making the cardiovascular system work more smoothly. Both the teas are helpful in reducing the bad cholesterol from the blood, though milk tea does not support the same. So enjoy the tea that suits your personally. Green tea not more than 6 cups and black tea not more than 3 cups. To enjoy the full health benefits, add to them a dash of cinnamon and ginger. Brewing the tea correctly requires 2 gram of tea per 100 ml of water or 1 teaspoonful of tea leaves per 150 ml water. Brewing the tea too hot and too long will result in bitter taste due to the release of extensive amounts of tannins. with a caffeine content of `12 mg.
"So enjoy the tea that suits your personally!"